Pending now before the Court are the parties’ cross-motions for summary judgment. The parties have recently elected not to present additional evidence to the Court (See Doc. Nos. 46, 47), and thus, the Court will decide the matter on the papers submitted and without oral argument. See S.D. Cal. Civ. R. 7.1(d.1) And for the reasons stated below, the Court DENIES both motions and AFFIRMS the decision of the Administrative Law Judge (“ALJ”). Plaintiffs Ky.D and B.D. are the parents of Ka.D (“Student”). Student was born April 24, 2003, making her now seven years old. 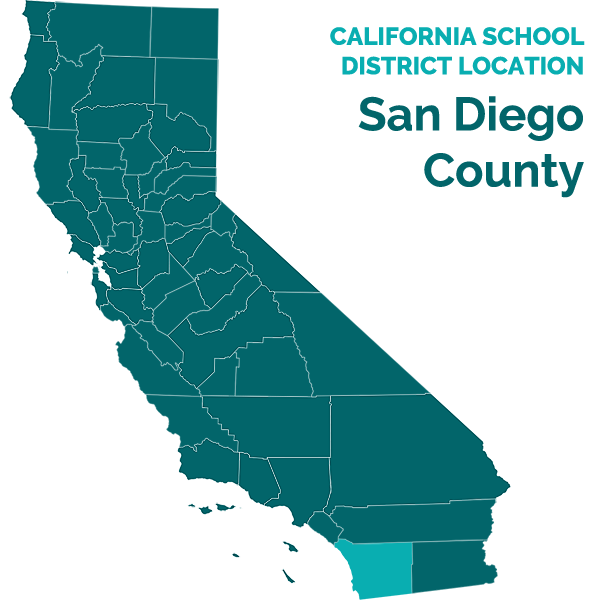 Defendant Solana Beach School District (the “District”) is a public school district responsible for providing children eligible for special education who reside within its jurisdiction with a Free Appropriate Public Education (“FAPE”), as required under the Individuals with Disabilities Act (“IDEA”), 20 U.S.C. § 1400 et seq. and the implementing provisions of the California Education Code (Cal. Educ. Code, § 56320). At all times relevant to the allegations of this case, Student resided with her parents within the District’s boundaries. 1 The ALJ’s decision is also located in the Lodgment of Administrative Record Volume XVIII at Tab 21. After signing the settlement agreement, Student’s parents had minimal contact with the District until February 16, 2007, when Student’s IEP team first met to begin the process of formulating her IEP for the 2007-2008 school year. (Id. at pg 8, ¶ 11.) The IEP team also met in May and June. The resulting offer made to the Student by the District instigated further proceedings, and ultimately, this litigation. First, the case was scheduled for a due process hearing, which commenced October 29, 2007. (Id.) The hearing lasted eleven days and was presided over by the Administrative Law Judge for the Office of Administrative Hearings, Special Education Division, the Honorable Darrell Lepkowsky (the “ALJ” or “Judge Lepkowsky”). E. Offering a placement in a District general education classroom for a portion of Student’s day that is an appropriate instructional setting for her and whose addition to Student’s program creates a school day that includes too many transitions between classroom settings. 2. Are the District’s assessments of Student with regard to her educational placement appropriate and, if not, is Student entitled to reimbursement from the District for the independent assessment conducted by Caroline Bailey? 2 Magistrate Judge Porter is no longer assigned to this case. The case has been reassigned to Magistrate Judge William V. Gallo. (Doc. 44.) evidence or require a court hearing. (Docs. 46, 47.) As such, the Court is prepared to rule on the pending motions based upon the pleadings and the record provided. When a party challenges the outcome of an IDEA due process hearing, the reviewing court receives the administrative record, hears any additional evidence, and, “basing its decision on the preponderance of the evidence, shall grant such relief as the court determines is appropriate.” 20 U.S.C. § 1415(i)(2)(C). Courts give “ ‘due weight’ ” to the state administrative proceedings, Van Duyn ex rel. Van Duyn v. Baker Sch. Dist. 5J, 481 F.3d 770, 775 (9th Cir.2007) (quoting Bd. of Educ. v. Rowley, 458 U.S. 176, 206, (1982)), and, at a minimum, “ ‘must consider the findings carefully….’ ” Ojai Unified Sch. Dist. v. Jackson, 4 F.3d 1467, 1474 (9th Cir.1993) (quoting Gregory K., 811 F.2d at 1311). The court gives particular deference where the hearing officer’s administrative findings are “thorough and careful” Union Sch. Dist. v. Smith, 15 F.3d 1519, 1524 (9th Cir.1994), or are based on credibility determinations of live witnesses. Amanda J. ex rel. Annette J. v. Clark County Sch. Dist., 267 F.3d 877, 889 (9th Cir. 2001). The IDEA does not empower courts to “ ‘substitute their own notions of sound educational policy for those of the school authorities which they review.’ ”Ojai Unified Sch. Dist., 4 F.3d at 1472 (9th Cir. 1993)(internal citations omitted). The Ninth Circuit has also recognized that the procedure under the IDEA is “not a true summary judgment procedure,” but is “essentially . . . a bench trial based on a stipulated record.” Id. Specifically, they have explained “[i]t is hard to see what else the district court could do as a practical matter under the statute except read the administrative record, consider the new evidence, and make an independent judgment based on a preponderance of the evidence and giving due weight to the hearing officer’s determinations.” Capistrano Unified Sch. Dist. v. Wartenberg, 59 F.3d 884, 892 (9th Cir. 1995). “Even though [this method of review] does not fit well into any pigeonhole of the Federal Rules of Civil Procedure . . . [it] appears to be what Congress intended under the Act.” Id. While the petitioning party bears the burden of proof at the administrative level, Schaffer v. Weast, 546 U.S. 49, 57 (2005), the party challenging an administrative decision in federal district court has the burden of persuasion on his or her claim. Clyde K. v. Puyallup Sch. Dist. No. 3, 35 F.3d 1396, 1399 (9th Cir.1994)(overruled on other grounds). As a preliminary matter, the Court must address a concession that has been made by Plaintiffs. As mentioned above, this Court ordered supplemental briefing from the parties. In response, Plaintiffs have indicated that they have “reconsidered” their Section 504 and American’s with Disabilities Act (“ADA”) claims and will not be pursuing them. (Doc. No. 47 at 3.) They have also indicated that Count Five (Injunctive Relief) has become moot. (Id.) As such, the Court hereby DISMISSES Plaintiffs’ Counts Three, Four, and Five, without prejudice. Plaintiffs’ two remaining claims are based upon the IDEA. Returning to the issues presented, pending before the Court are the parties’ cross-motions for summary judgment. The Court will address each motion separately. A. Plaintiffs’ Motion For Summary Judgment Is Denied. Plaintiffs contend that the ALJ erred: by failing to hold the District accountable for unlawful predetermination (issue 1(A)); by denying reimbursement from the District for the independent assessment conducted by Dr. Caroline Bailey (issue 2); and by ordering insufficient remedies. The District has opposed each of Plaintiffs’ contentions. In determining the educational placement of a disabled student, the public agency must ensure that the placement is based on the child’s IEP. 34 C.F.R. § 300.116. Predetermination of a student’s placement is a procedural violation that deprives a student of a FAPE in those instances where placement is determined without parental involvement in developing the IEP. Deal v. Hamilton County Bd. of Educ., 392 F.3d 840, 857 (6th Cir. 2004). Here, Plaintiffs argue that the ALJ ignored “powerful direct and indirect evidence of predetermination.” (Doc. No. 29 at 7.) Specifically, Plaintiffs believe that the evidence presented showed that the District’s special education director, Mary Ellen Nest (“Nest”), had predetermined that the parties would not agree at the IEP level. As a result, Nest was dismissive of any proposal that included keeping Student at the Hanna Fenichel preschool and not at a District school. The Court does not agree. Plaintiffs have also failed to demonstrate that the District had a policy of refusing to place special education students at private schools or that the District attempted to stifle discussion about private school placement. Plaintiffs’ failure to do so significantly distinguishes this case from the situation in Deal. 392 F.3d at 858 (where the court determined from the facts of the case that the school district had an unofficial policy of refusing to provide services regardless of the evidence presented by the parents). A review of the IEP meetings indicates that the conflicting recommendations were discussed at the May 11, 2007, and June 13, 2007, meetings. (See V. 14 at 4331(where Ms. Nest indicates that they have spent a large portion of the meeting discussing Student’s current placement at the Hanna Fenichel preschool); see also V. 14 at 4338 (where Ms. Nest seeks out other assessment input); see also V. 14 at 4365(where Ms. Nest reads into the record the report from the Hanna Fenichel preschool and their ability to provide her services in the future.)) Indeed, after reading the transcripts, this Court was left with the impression that Student’s mother was a welcomed and active participant in the IEP discussions. In sum, Student’s mother may have been frustrated by the IEP—which she was ultimately able to alter—but the ALJ did not err by concluding that Plaintiffs failed to prove that the District procedurally violated her rights under the IDEA with regard to predetermining Student’s classroom placement. Accordingly, the Court DENIES Plaintiffs’ motion and AFFIRMS the ALJ’s decision in regards to predetermination. As noted by the ALJ, the procedural safeguards of the IDEA provide that under certain conditions a student is entitled to obtain an independent educational evaluation (IEE) at public expense. (ALJ Decision , pg. 42, ¶ 28; citing: 20 U.S.C. § § 1415(b)(1), 1415(d)(2); 34 C.F.R. § 300.502(a)(1); Cal. Ed. Code §§ 56329, 56505.) IEE “means an assessment conducted by a qualified examiner who is not employed by the public agency responsible for the education of the child in question.” 34 C.F.R. § 300.502(a)(3)(i). To obtain an IEE, the student must disagree with an evaluation obtained by the public agency and request an IEE. 34 C.F.R. § 300.502(b)(1) & (b)(2). The ALJ’s findings indicate that on April 7, 2007, Student’s parents informed the District that they were going to obtain IEEs for Student because they disagreed with the recommendations of the District’s outside consultant Dr. Schriebman. (ALJ Decision, pg. 30, ¶ 89.) Ultimately, Student’s parents obtained an assessment by Dr. Caroline Bailey and then sought reimbursement for her services. The ALJ rejected their request. Plaintiffs argue that Dr. Bailey’s lack of licensing is irrelevant, that her observations were helpful, and that her bill has since been reduced to either $8,000 or $12,000. (compare Doc. 29 n. 40 with Decl. Ky.D ¶ 12.) Plaintiffs also make a policy argument in regards to the importance of IEE’s. Having reviewed the applicable law, the Court finds that Plaintiffs have failed to show that the District’s observations were insufficient, and therefore, that they were entitled to the reimbursement of the IEE at public expense. Without this threshold showing, Plaintiffs’ additional arguments can not have effect. Moreover, even if the Court was inclined to award some reimbursement, the amount owed to Dr. Bailey is unknown. As mentioned above, Plaintiffs have offered the Court conflicting accounts of Dr. Bailey’s final bill, neither of which is supported by an updated accounting for her services. Plaintiffs have also not suggested an amount they desire for partial reimbursement, to which the District could be expected to respond. Accordingly, the Court DENIES Plaintiffs’ motion and AFFIRMS the ALJ’s decision in regards to the refusal to reimburse Student’s parents for Dr. Bailey’s IEE. Because the Student prevailed in regards to Issue 1(D) and 1(E), the ALJ ordered the District to pay $6,100 to Student’s parents to reimburse them for the costs of the tuition they paid to the Hanna Fenichel prechool for the entire 2007-2008 school year. (ALJ Decision, pg. 46, ¶ 1.) The ALJ also ordered the District to provide—within 30 days of the order— a one-on-one aide to Student for the remainder of the 2007-2008 school year. (Id. ¶ 2.) The ALJ declined, however, to award monetary compensation for Student’s mother’s time for personally providing supplemental services in the past. Plaintiffs contend that the thirty days afforded to the District was inconsistent with Student’s right to a FAPE. Additionally, Plaintiffs argue that the ALJ’s decision to deny Student’s mother monetary-compensation was in error. The Court disagrees with both contentions. Plaintiffs have characterized the thirty days afforded to the District as an “inadvertent gap” that caused them to incur $700 of expenses with Coyne. (Doc. 20 at 23 n. 47.) Having reviewed the ALJ’s decision, the Court does not concur. The ALJ’s decision gave the District the choice of contracting the ordered ABA services through Coyne, or to conduct an IEP to develop an alternative service provider. It was not error to permit the District a reasonable amount of time to assess the ALJ’s decision and to respond accordingly. The Court can understand why Student’s parents immediately ordered the services through Coyne, but that decision was inconsistent with what the ALJ had determined was a necessary public expense. The ALJ had clearly distinguished between services that should be retroactively reimbursed (tuition for 2007-2008 at the preschool) and future services through his usage of the word “remainder.” Thus, the Court does not agree that the ALJ created an inadvertent gap in coverage or that Plaintiffs have shown his decision was in error. Plaintiffs also sought monetary compensation for the time the mother spent supplementing Student’s in-home ABA program. The ALJ rejected the request because it was not supported by the law or the facts of Student’s case. Having reviewed the applicable law, the Court agrees with the ALJ’s assessment. Plaintiffs have still not offered any legal authority that would require a District to pay a parent a salary for educating her child at home when the same services were available in their community. This case is not similar to the situation in Bucks County Department of Mental Health/Mental Retardation v. Commonwealth of Pennsylvania, 379 F.3d 61, 75 (3rd Cir. 2004)(where the court awarded specifically limited their decision to reimburse a parent because a trained service provider was not available). In conclusion, the Court DENIES Plaintiffs’ motion for summary judgment and AFFIRMS the ALJ’s decision in each of the aforementioned challenges. B. Defendants’ Motion For Summary Judgment Is Denied. The District contends that the ALJ improperly substituted her own judgment regarding a proper educational program for the student. Specifically, the ALJ incorrectly determined issues in regards to Student’s FAPE (issue 1D and 1E) and improperly awarded $6,100 for tuition reimbursement at Hanna Fenchel preschool. 1. The ALJ’s Decision in regards to the LRE and classroom transitions. Both federal and state law require school districts to provide a program in the least restrictive environment (LRE) to each special education student. See 34 C.F.R. § 300.114. The Ninth Circuit has adopted a four-factor balancing test for determining whether a placement is the LRE. Sacramento City Unified School Dist., Bd. of Educ. v. Rachel H., 14 F.3d 1398, 1404 (9th Cir. 1994). Courts consider “(1) the educational benefits of placement full-time in a regular class; (2) the non-academic benefits of such placement; (3) the effect [the Student] had on the teacher and children in the regular class; and (4) the costs of mainstreaming [the Student].” Id. In the instant case, the District contends that the ALJ failed to defer to the District’s expertise and never considered the presumption in favor of the District’s proposed plan. As a result, the ALJ incorrectly weighed the appropriate factors and then determined that the District’s offer of placement had substantively denied Student a FAPE. The Court does not agree. The United States Supreme Court has stated that the burden of proof in an administrative hearing challenging an IEP is properly place upon the student. Schaffer, 546 U.S. at 59-60. Having reviewed the ALJ’s decision in regards to issues 1D and 1E, the Court believes that the ALJ afforded the District an appropriate amount of deference and correctly applied the burdens of proof. see e.g., ALJ’s Decision, pg. 40, ¶ 20 (where the ALJ concluded that Student had ‘failed to meet her burden’). Moreover, the Court believes that the ALJ’s decisions in regards to issues 1D and 1E were well-reasoned, thorough, and careful. The ultimate conclusions were also based heavily upon the evaluation of live witnesses. see e.g. ALJ’s Decision, pg. 24, ¶ 69 (citing the observation of District witnesses Dr. Schreibman, Ms. Loveman, and Ms. Reise); Id. at pg. 25, ¶ 72 (citing testimony of Dr. Bailey and Dr. Patricia Schneider-Zioga); Id. at pg. 26, ¶ 75 (where the ALJ describes what the evidence had showed). Accordingly, this Court gives the ALJ’s decision particular deference. Smith, 15 F.3d at 1524; Amanda J., 267 F.3d at 889. The District’s argument regarding the ALJ’s “failure” to address the intended balance of their proposed program suffers a similar defect. The ALJ specifically addressed the evidence presented and concluded that the District had no basis for their position regarding the Student’s ability to transition between classrooms. (ALJ’s Decision at 28 ¶ 81.) Given this Court’s deference to the ALJ’s reasoning, the District has been unsuccessful in their attempts to disturb that ruling. In sum, the District has failed to meet its burden of persuasion. The Court DENIES Plaintiffs’ motion for summary judgment and AFFIRMS the ALJ’s decision that the District’s IEP had substantively denied Student a FAPE. The District argues that California law prohibits the ALJ from awarding “prospective funding of private schools that are not certified by the State as non-public schools or non-public agencies.” (Doc. No. 28 at 23–24; citing Cal. Educ. Code § 56505.2(a)) And because Hanna Fenichel is not State certified, the ordered reimbursement for the full year of tuition was unlawful. In conclusion, the Court DENIES the District’s motion for summary judgment and AFFIRMS the ALJ’s decision in each of the aforementioned challenges. DISMISSES Plaintiffs’ Counts Three, Four, and Five, without prejudice. DENIES Plaintiffs’ motion for summary judgment. DENIES the District’s motion for summary judgment. AFFIRMS the decision by the California Office of Administrative Hearings in its entirety.